Author Barry Lancet reveals how an approach by a Soviet spy to recruit him inspired his 4th Jim Brodie book The Spy Across The Table published by Simon and Schuster. We are going in a different direction today. Today’s guest has just published a thriller novel which transports Spybrary Spy Podcast Host Shane Whaley from his usual reading haunts, the shadows of the Berlin Wall and the spotlights of Checkpoint Charlie to DC, to San Francisco, to Tokyo, to South Korea, to China and even to the DMZ. Not only transported him to a different part of the planet but brought him into the 21st century. 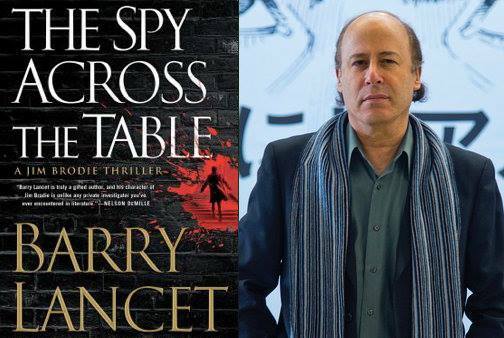 We talk with Barry Lancet on the Spybrary Podcast about the time he was approached by a Soviet spy sorry ‘attache’ from the Soviet Embassy and how that meeting influenced the spy character Zhou in The Spy Across The Table. Barry also shares with us the distressing joke the Soviet shared with him and why, when he got home he wanted to change all the locks to his house. Although this is the 4th Jim Brodie book, new readers can just jump in with The Spy Across The Table as each book is a standalone story. Find out more at Barry Lancet’s Official Site. “The hottest read of the summer season, if not the whole year…. 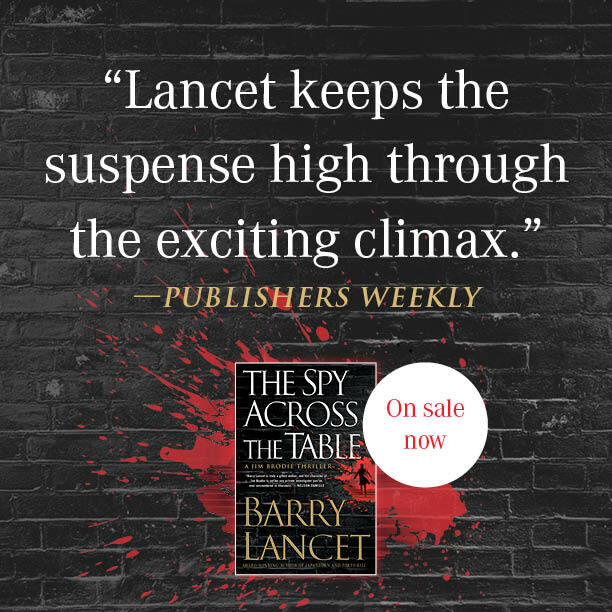 “Barry Lancet’s The Spy Across the Table is the perfect combination of mystery novel and espionage thriller wrapped into one. “Barry Lancet is one of the few authors who can entertain and teach you something at the same time, hooking readers deeper and deeper as the story unfolds. Who exactly is the main character Jim Brodie? The book starts with a double murder of Jim’s friends at a Kabuki performance, Barry tells us what exactly a Kabuki is. Barry Lancet reveals more about the Chinese spy ‘Zhou’ and how we was influenced by a real life approach by a Soviet agent. How did he decide on the locations? One complaint of The Spy Across The Table from a Goodreads review is that the reader did not like the inference that Government Agencies can be underhand and nefarious. Brodie is very anti the NSA, especially when he thinks about how they can access info on his daughter. Lancet also give quite a dark description of the powers of DC moving from the ‘military industrial complex to shadowy security forces’ for instance. Is there a political message he is wanting to convey or is this just the backdrop to show what Brodie is up against? How much research was involved in writing The Spy Across The Table? Barry Lancet tells us about his visit to the DMZ and how it compared with crossing through Checkpoint Charlie when the Berlin Wall was still up. Spybrary Host Shane Whaley had no idea about the North Korean commando attack on the South Korean Presidential Blue House which was referenced in the book. Barry Lancet tell us more! There is an ‘About Authenticity’ section of the book which is rather unique. What prompted Barry to include this chapter? Barry Lancet is a former book editor, he gives us advice for those listening to the show who want to get into writing? Don’t forget to join us in the Spybrary Facebook discussion group where you can tell us what you think of the interview and/or Barry’s work.